The official website for the previously announced Uchuu Senkan Tiramisù II has revealed a new preview and announced additional cast members. Kaito Ishikawa will be performing the new opening theme song "Gravity Heart" as his respective role. 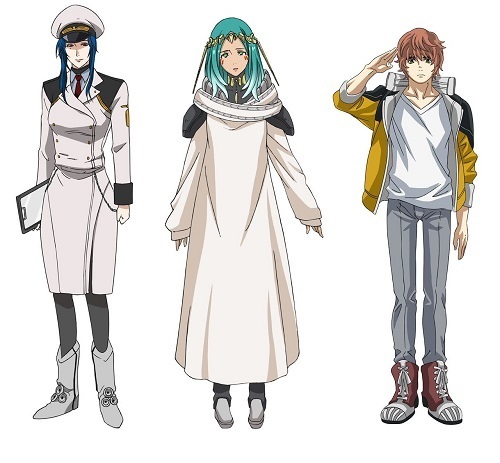 There will be a new version to the first season ending theme song "DURANDAL" used for this season, and more characters will be performing it along with Kaito Ishikawa. The anime will broadcast on Tuesdays at 1:00 a.m. via Tokyo MX, followed by Sun TV and BS11 starting October 2. Subaru-b (Takuya Eguchi) will be upgraded to Subaru Beyond in the second season, and the voice is still unknown for Escalade Cadillac. It has also been announced that there will be one volume released for the second season, which includes the 13 episodes as well four unaired episodes. It will be released on January 30, 2019. An event will be held on September 29, where Kaito Ishikawa (Subaru Ichinose), Takahiro Sakurai (Isuzu Ichinose), Junichi Suwabe (Vulgar Hammer), Takuya Eguchi (Subaru Beyond), and Jouji Nakata (Inmou) will make an appearance. I'm loving new OP so much. Subaru & Isuzu for ED. I can hope. and the voice is still unknown for Escalade Cadillac. Why they do this. I can't wait. Otsuka Akio please?